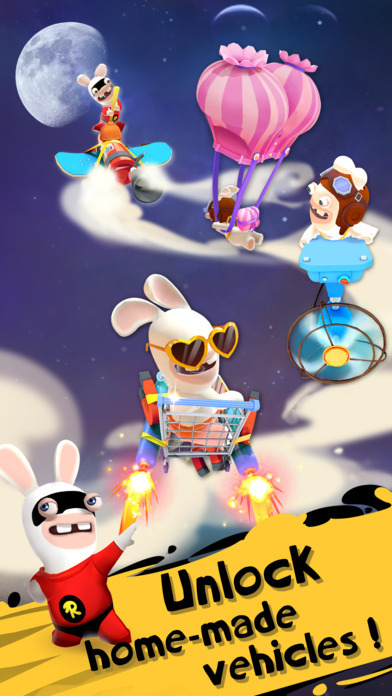 Run at full speed with the Rabbids on their latest insane plan to reach the moon! 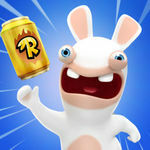 How will the Rabbids fulfill their borderline-insane idea this time? Collect cans that will provide the gas to power their moon-bound balloon. It's an insane idea, but it might just work! Run, ride, glide and fly with dozens of crazy vehicles, get awesome suits, and be the first among your friends to make it to the moon! 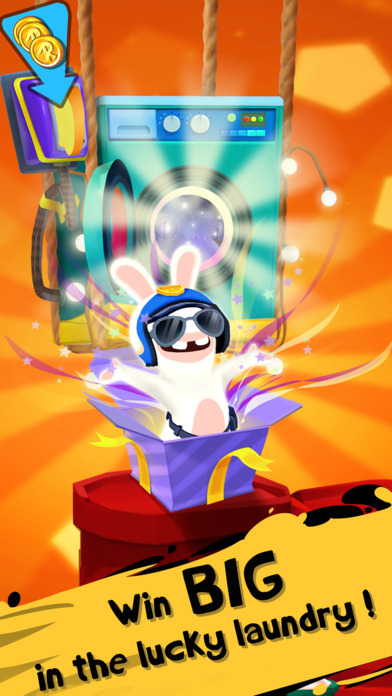 Suit up your Rabbids and dash through a variety of places as you guide them to reach the moon. 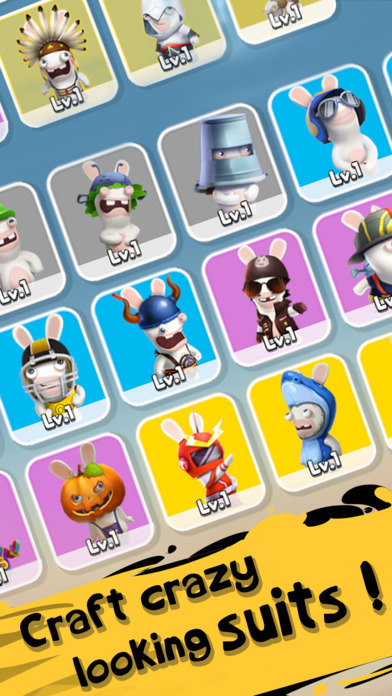 Rabbids Crazy Rush brings a good variation of the endless running formula, with simple to beat mission objectives across 100 levels, with plans for more, and sports good-looking cartoony graphics that run smoothly and a solid soundtrack, making for an enjoyable time. 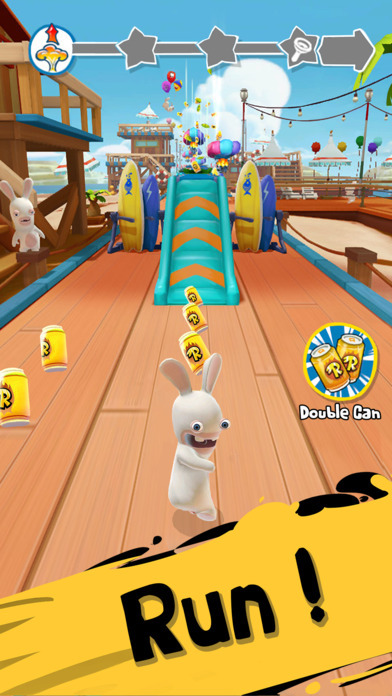 Yet, while Rabbids Crazy Rush starts out fun, I didn’t find anything truly unique or inventive outside of the usual endless running genre formula, and to be honest, this game leans too much towards the simple side. My advice? 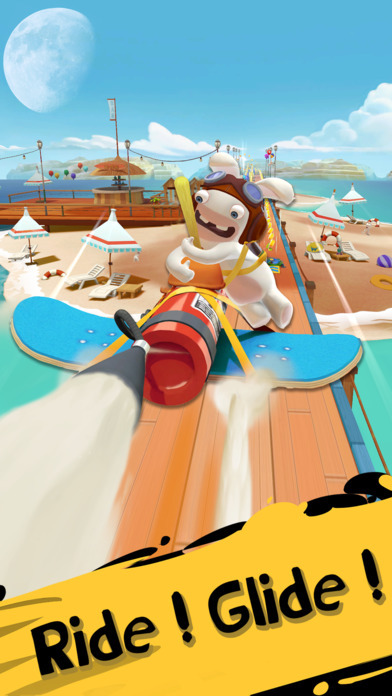 Play through in short bursts to enjoy Rabbids Crazy Rush. Los conejos más famosos del sector protagonizan un alocado Auto Runner free to play para dispositivos iOS y Android que nos depara buenos momentos de diversión. No sorprende en absoluto bajo ningún concepto y apenas innova en nada en particular, pero sus 100 niveles os harán disfrutar bastante así como la indudable simpatía de los protagonistas. Merece la pena al menos descargarlo dado su carácter gratuito.